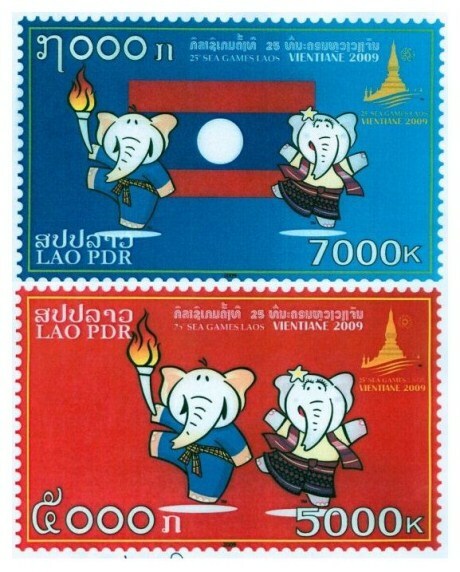 Lao Stamp issued for the 25th SEA Games in Vientiane, Laos. Date of issue: 09, December 2009. Quantity: 100,000 piece of each stamp. Place of printing: Thai British Security Printing, Thailand. Designer: Mr. Vongsavanh Damlongsouk.